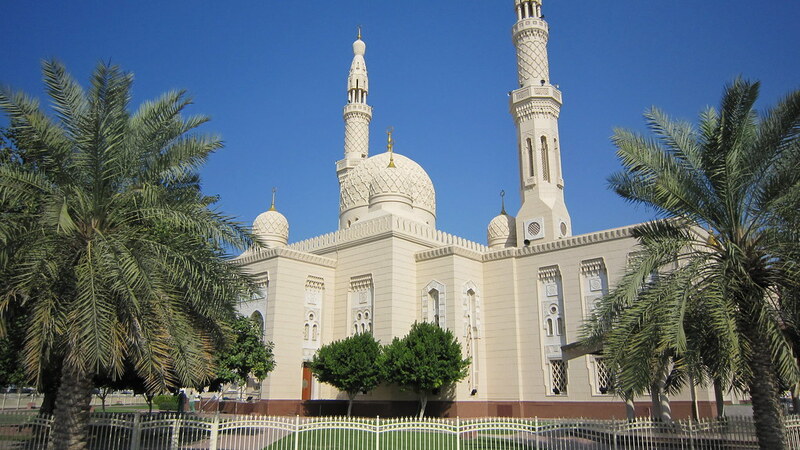 As many mosques in Dubai, they are all quite new and therefore miss authenticity. Strongly recommended to be on time for the guided tour at 10 AM sharp. I enjoyed the tour at this mosque. Entrance fee is AED25 and the tour starts at 10:00. Best to be there a bit earlier. You actually have to go to the building next to the mosque to get your ticket. The guide started the tour with how the wash before entering the mosque (you can watch/participate). You get appropriate clothing before you enter the mosque if what you’re wearing isn’t suitable. Once inside, you can walk around and admire the mosque. You’re allowed to take pictures/videos all the time. After this, everyone sits on the carpet (there are chairs as well) and the guide talked about the 5 pillars of Islam. He showed us how they pray etc. At the end, you can ask as many questions as you want. Worth a visit as it gives you information about Islam. If you’d like to see a big mosque, you might want to consider the one in Abu Dhabi. A fascinating and huge mosque with beautiful design and facilities. I have not seen a bigger mosque anywhere else in the world, and the building looks beautiful. The only thing I didn't like about this is, women are compelled to wear burquas here.